July 24, 2009 We received the following email from Han van Dieman, former owner of Arlette (minor edits). We hope to hear from Gerrit-Jan soon. For more on the Shaw 24 click here. 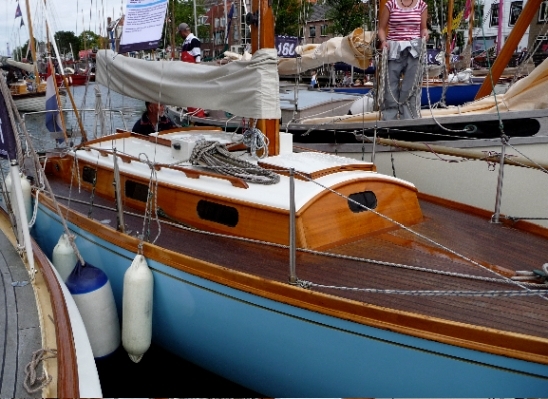 Yesterday I found, at last, Arlette at the Shipmate Classic Yacht Regatta at Hellevoetsluis, the Netherlands. 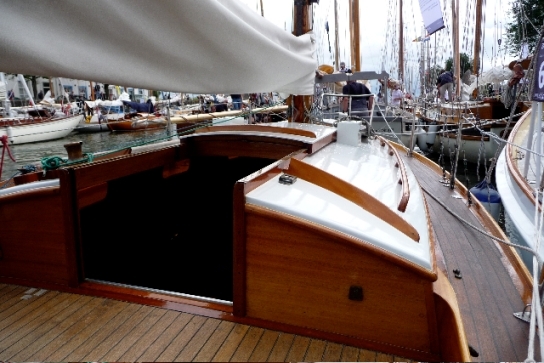 (see www.scyr.nl) , more then 200 beauties in one harbor), and spoke with the present owner Gerrit-Jan Bessem! Arlette was still in a beautiful condition and well maintained. He (Mr. Bessem) had lots off documentation, also from the first owner, received from Dr. Gast I think. I asked him to contact you and give the further history off Arlette. He was currently on holiday, I hope that he will contact you after his holiday. He owned Arlette for 15 years and bought Arlette from Mr. Leman, the man (to whom) we sold Arlette, we now remember. Mr. Leman gave Arlette a teak deck. 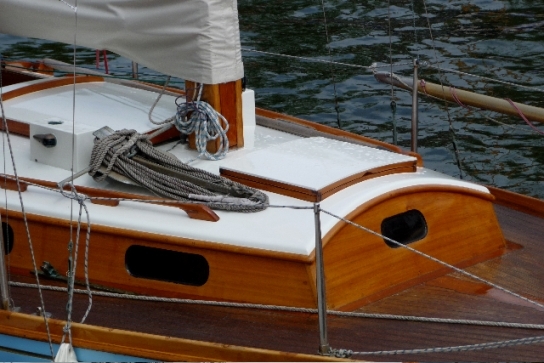 Mr. Bessem thinks that there were nine Shaws built at Jensen's Shipyard in stead off eight I thought - that is possible. I made some pictures yesterday. 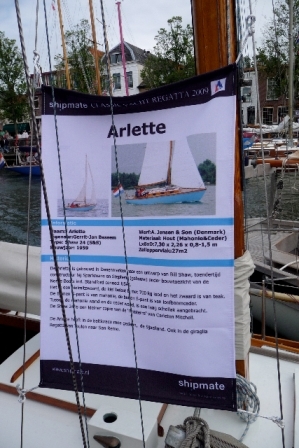 We first heard about Arlette when we received the following email and photos from Han van Diemen last year. 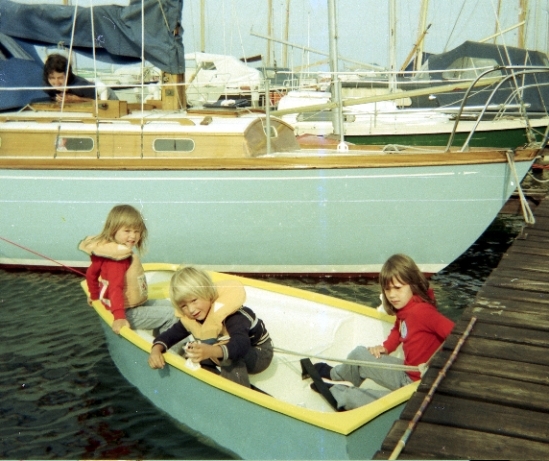 In the Seventies I owned a Shaw 24 named "Arlette", built in Denmark (by Jensen). So far as I know it was one of eight Shaws 24 build at Jensens and the only one left in Europe. 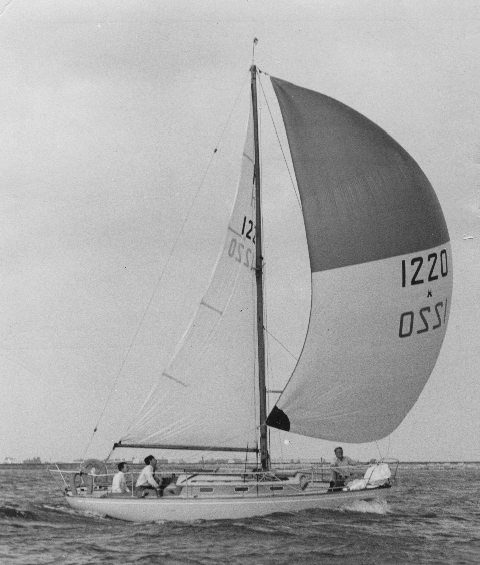 One Shaw 24 was built for a German baron who raced with the ship under the IOR rules, with good results (*), all over Europe. Seven Shaws were exported to the US. 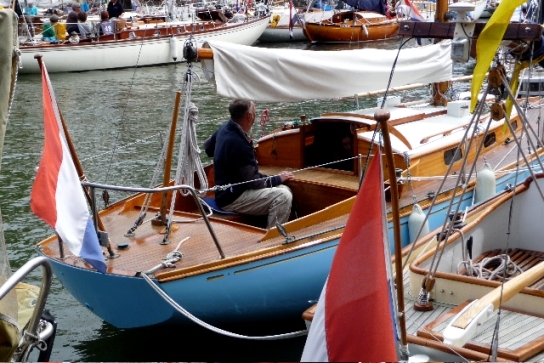 Arlette had an typical American 2 cilinder petrol Kermith inboard engine. (*)She was very fast in light winds. Arlette was sold to LeComte Holland Yachtbuilders at Jutphaas/Vianen the Netherlands - the baron bought there a new yacht. 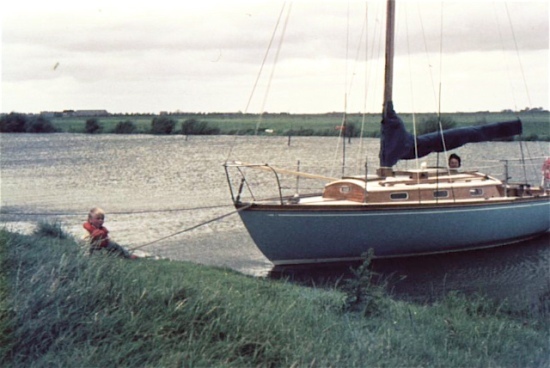 Dr. Gast living at Hilversum, the Netherlands bought Arlette so he was the second owner, we were the third owner and we were sailing Arlette for many years. With 3 growing children, the forepeak was at least too small and we had to sell. It was sold to the south region of the Netherlands and we lost it - out of sight. I tried several times to locate Arlette but without a result, so far! 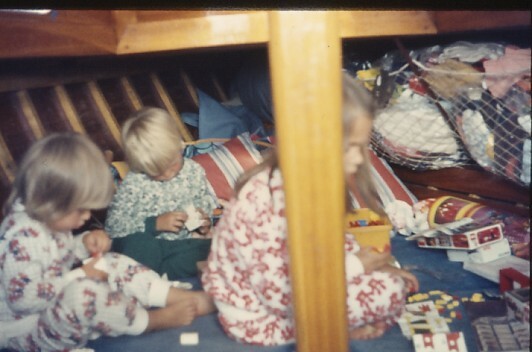 The search for the Shaw 24 Arlette brought me to the Dolphin 24 site and the pictures off her sister-ship Salvation, so this is the reason for this memo and pictures. A few pictures (photo scans) are included to complete the history. February 17, 2011. Han sent in the specification sheet that the first owner provided when he sold Arlette. It was in German but the Dolphin community is resourceful and thanks to Manfred Noack we have a complete translation. It is a very interesting description of this boat built at A. Jenson and Son yard 50 years ago and equipped with many American made items of equipment. Click here to see that translation. January 29, 2017. We 'found' a quotation in a 1963 Sport Illustrated article about MORC and TRINA that needs to be on Arlette's page. Her first owner was Wilhelm Braun v. Stumm from Baden-Baden, Germany. .....in Trina's sister ship, a German named Wilhelm von Stumm demonstrated just how seaworthy MORC boats are. He was crossing the Gulf of Taranto in the Mediterranean when he was hit by a hurricane, with winds up to 65 knots—so strong they overturned streetcars in Milan and sank two 90-foot fishing trawlers. 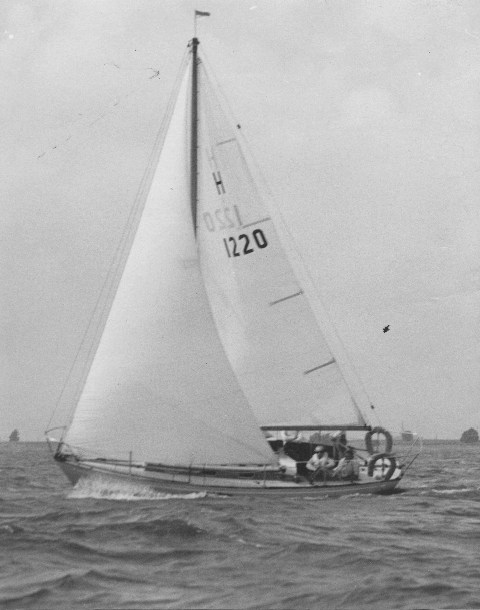 Von Stumm ran before it for two nights and a day under bare poles; once a breaking sea filled the cockpit, but no damage was done. When he returned to port the village fishermen, convinced the boat must be blessed to weather such a storm, kissed it.